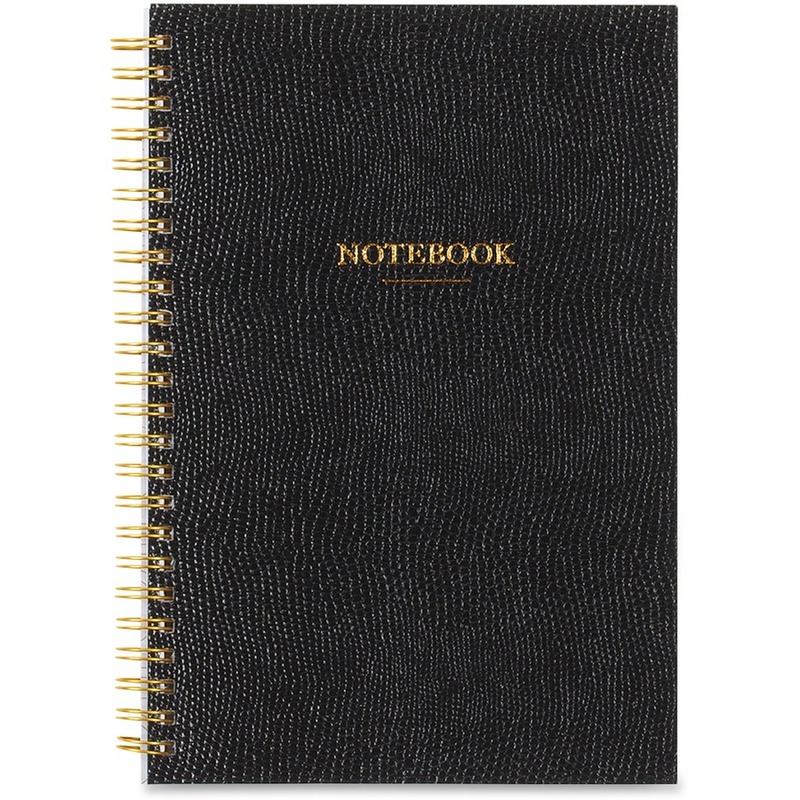 Notebook features a pebble grain front cover with gold detailing to add a touch of elegance to your day. 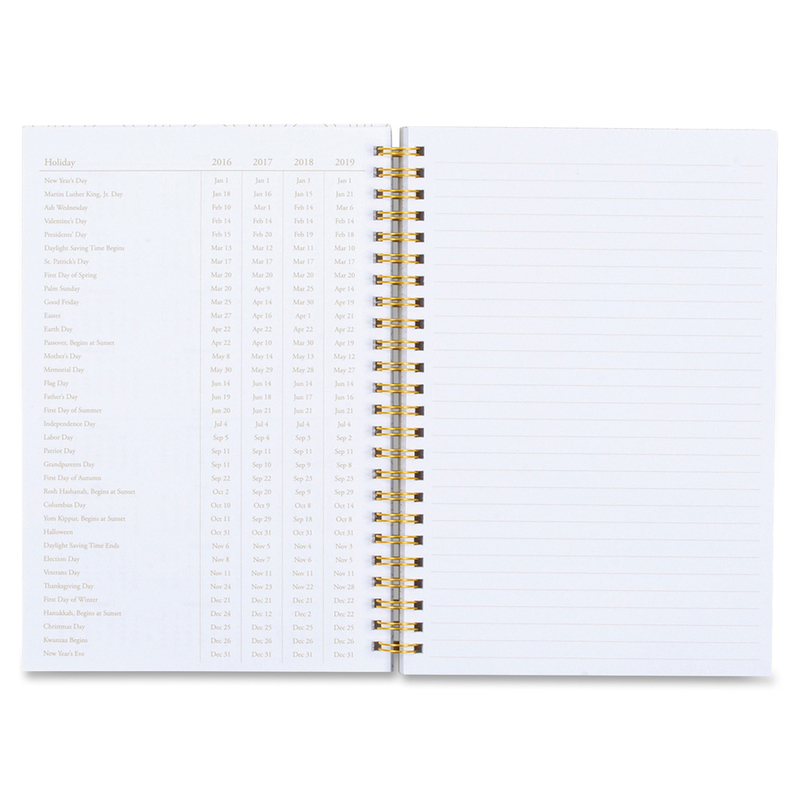 Thick, premium-quality pages reduce ink bleed-through to keep your handwriting legible. Acid-free paper prevents the pages from yellowing over time to maintain its original appearance. Twin-wire binding allows the book to open completely for easy page-turning and writing. Its compact size stores virtually anywhere to suit your on-the-go lifestyle. 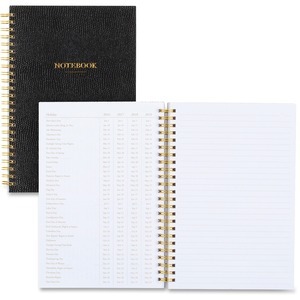 Notebook includes 80 sheets. Sheet Size 5 3/4" x 8 1/2"